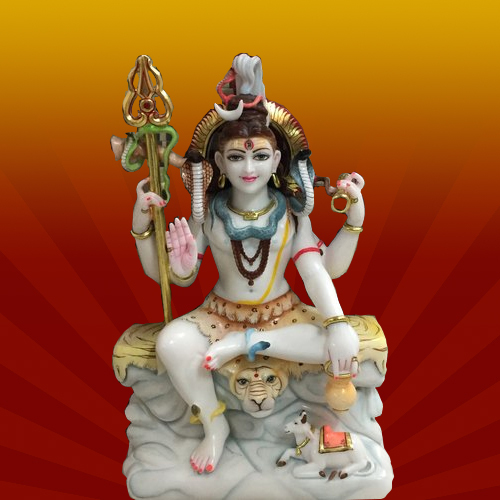 Possessing a rich carving experience, we are involved in the designing and manufacturing of high quality Marble Shiva Statues. 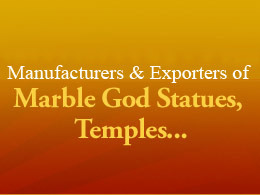 These statues are fabricated using premium quality marble and assures smooth edges with flawless finish. The statues are available in different designs, finishes and patterns and are well praised for their appealing look. 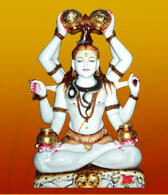 We offer uniquely designed Shiva statues with ultimate finish and perfect cutting. In this statue Lord Shiva is depicted as sitting on Kailash Parvat with all his embellishments such as snakes, trishul and kamandal. Nandi is also carved on the bottom of the rock. These statues are identified for their beautiful and identified work. 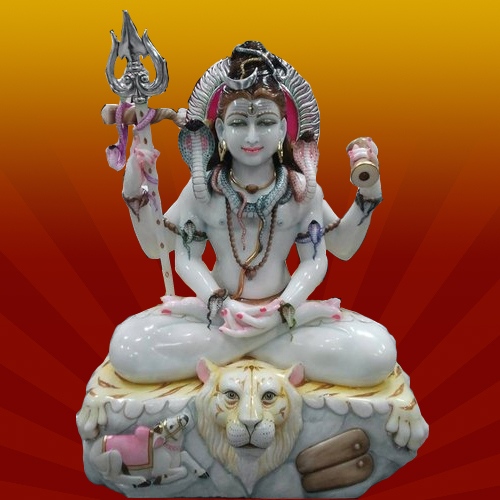 We present Marble Shiva Sculpture in which Lord Shiva is depicted as doing meditation. 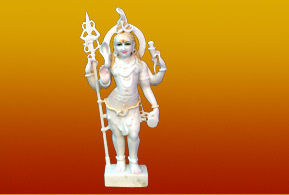 The statue is appreciated for appealing look, unmatched quality and excellent finishing. The artistically designed statue clearly displays the intricate carvings and postures. 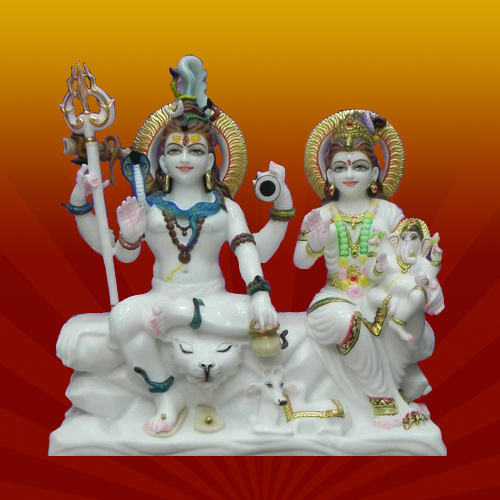 We offer an alluring assortment of Marble Shiva Parvati Statue in different sizes. The statue depicts Shiv and Parvati in standing position with all the embellishments. All the ornaments are painted with golden color paint. The Shiva and Parvati symbolizes the power of self-control and the blessings of marital joy. 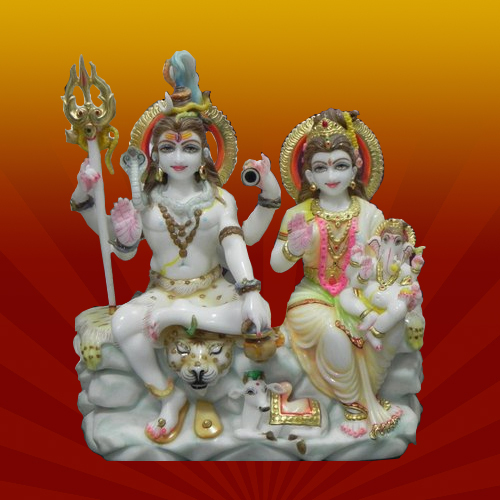 We are presenting an aesthetic range of Marble Shiv Parvati Statues, which are designed and manufactured from white marble. 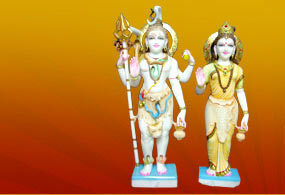 In these statues Lord Shiva and Goddess Parvati is in blessings posture. The statues are well designed and polished with metallic paints that provide an elegant look and offers high quality finishing touch to these statues.